Hi guys! Today has been rather…tough, to say the least. So, what better day than today to reflect on the MANY things I’m so very grateful for? Brenda Drake has come up with this fantastic idea: for the days leading up to Thanksgiving, post a little something (pictures, snippets, etc) of things that make our lives awesome. If you’d like to participate in the blog hop, head on over to Brenda’s blog and sign up! I’m so glad you are here and that you are joining me in this journey of Thanksgiving! Hugs! Post-partum depression is a terrible thing. My kids are adopted and adoptive moms can have it too (I had a mild version compared to yours). I am so glad you got help and that you’re around to enjoy your son and husband and that they can enjoy you back. 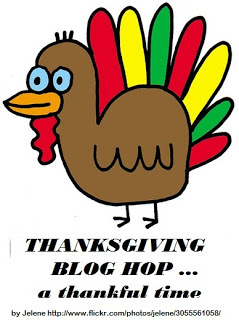 I’m doing the T’giving blog hop too, come say hi if you want. Thanks for commenting, Rhiann! And you make a good point in that it can happen whether the mom is biological or adoptive. PPD is such a nasty thing that can sneak up on anyone. I went through a similar experience after my second child was born. Your words hit so close to home. A person really can’t understand the feeling unless they experience it themselves. I’m so glad you found help and are doing well. Thanks so much, Renee, and you’re absolutely right. It’s not something people can truly understand unless they go through it themselves.